National chain Life Time Fitness has entered into contract to purchase property at the southeast corner of Memorial and Western will plans to construct the largest fitness center in Oklahoma City. The 114,000 square foot facility with feature multiple levels with a soaring entry atrium. Also featured will be an indoor / outdoor pool with 2-story water slides with children's recreation and lap swimming areas. There will be over 400 pieces of exercise equipment plus two regulation basketball courts, several exercise studios, daycare facilities, health foods cafe and a spa. Life Time is a private company based in Minnesota with approximately 100 centers operating in the U.S. and Canada. Membership fees typically run about $60 per month for an individual. 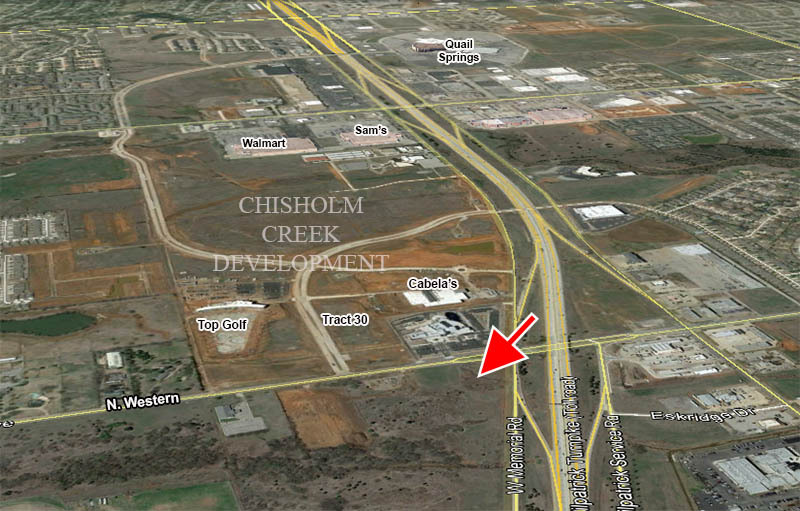 The location is directly east of the massive Chisholm Creek development. hopefully more to come; OKC is still a bit of a fitness desert, esp the core. I might be nuts, but i thought there was a gym up there on Memorial about equally sized that went bankrupt not terribly long ago. There was a few years ago. Area is much more built up and an emerging commercial area now. I imagine they did considerable site research before picking the area and site. Wasn't there a plan for a fitness center in Chisholm Creek itself? Is there a possibility that this development will affect that? They negotiated with Chisholm Creek but both parties decided they would be better off across the street. They take a ton of space. Ahh, so this effectively is that plan, just slightly off the property? I suppose that means more room in Chisholm Creek for other stuff without really losing the fitness concept. 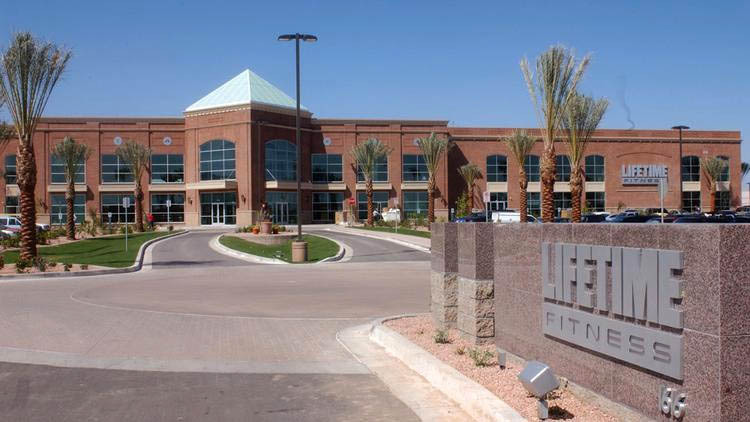 This is bittersweet for me as I LOVE Lifetime Fitness, and was a member when I lived in Phoenix. However, we just outfitted a portion of our garage as a home gym, so I won't be joining but I'm very excited for this development. It probably is. It checks nearly all the checkboxes for me (no racquetball court listed), and if I can get insurance/company to bring that price down I'll have a hard time finding a reason to not cancel my anytime fitness and join this gym as opposed to the rock climbing gym that's also being built in this area. That number is probably a little low, based on what I was paying in Tulsa a few years ago. But in comparison, if every other gym in OKC is about like various levels of municipal golf course, Life Time Fitness is like Pebble Beach. 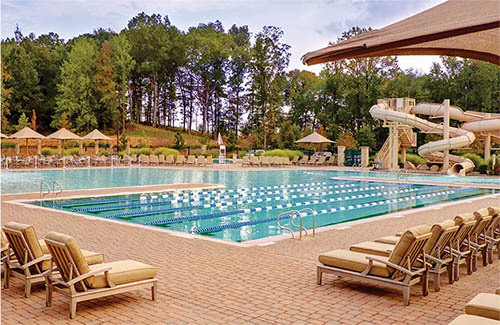 It really is like a high end country club, where the focus is on fitness instead of golf. I am a cheapskate, but I will gladly lay down whatever they charge to finally have a gym in town that, has everything I need or could ever want (minus racquet ball), is unbelievably well designed and taken care, has so much equipment that there is never a question about rather it'll all be full, etc. They also offer a nice rock climbing area, and over 140 classes a week, in 4 large studios so in peak hours there are always multiple good classes going on. Pete: Do you know when they plan on starting construction? They haven't even closed on the property yet; then they have to get their building permits approved. Best guess is construction will start sometime after the first of the year. 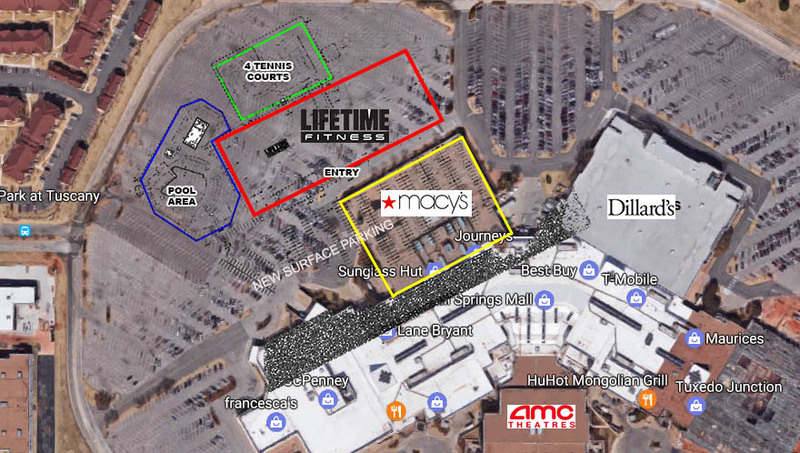 Permits have been filed to construct a huge new Life Time Fitness center on the site of the old Macy's department store on the north side Quail Springs Mall. Macy's closed earlier this year as a part of a corporate-wide downsizing and the company sold the building and land to General Growth Properties, the owners of the mall. 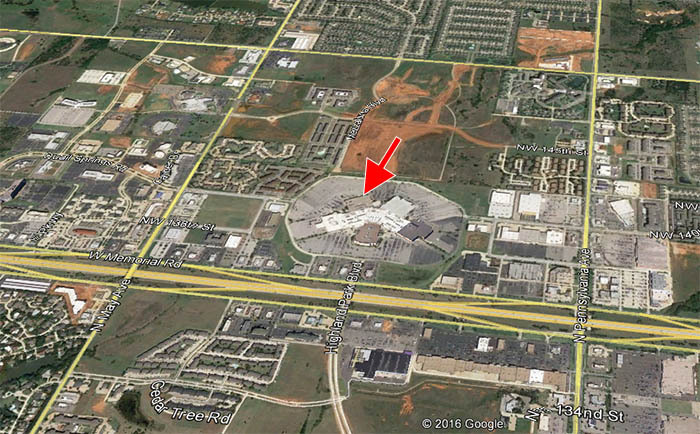 As OKCTalk reported in May, Life Time had entered into contract to buy property at the southeast corner of Memorial and Western but recently backed out of that deal and put the old Macy's property under contract. This would be the first and likely only Oklahoma City location for Life Time, a private company based in Minnesota with approximately 100 centers operating in the U.S. and Canada. Membership fees typically run about $60 per month for an individual. The center would be one of the largest in the country, with 181,400 square feet of enclosed space including indoor tennis courts, 400 pieces of exercise equipment, basketball courts, exercise studios, daycare facilities and two health food areas. There would also be four outdoor tennis courts, and a huge pool and spa area. Plans show the building would be detached from the mall with parking positioned between Life Time and a new northwest mall entry. Construction cost not including furniture, fixtures and equipment is estimated at a whopping $28.5 million. With the contraction of traditional department stores, enclosed malls have sought new tenants and inventive ways to fill their space and attract patrons. The high concentration of apartments and high incomes in the immediate area fit Life Time's business model. No closing date has been set for the property sale but building permits have already been submitted. I don't like how non-symmetrical that plan makes Quail Springs. But I suppose that is a minor issue. 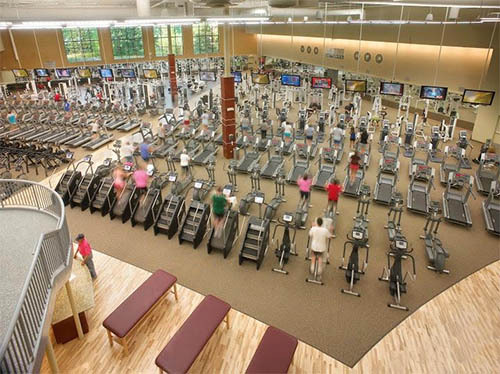 Lifetime Fitness has great amenities! Excellent pools and their equipment is top notch. This will raise the bar for a nice facility in OKC. This seems like an odd fit. I don't understand why one of the anchor points of the mall has to be removed? Yeah it seems a little excessive. It's not like they're short on parking. Then rebuild it? They're planning a new north entrance. I wonder if the plan on expanding the mall somewhere else? Perhaps Dillard's might expand? I think you guys may be underestimating peak time parking that this place will command.